‘Furious’ residents gathered in Henfield this week to protest against plans for 42 new homes. More than 100 residents gathered at the top of the field, north of Sandy Lane. where the homes are proposed to be built. Fairfax Acquisitions Limited is seeking outline planning permission to build the homes. Its application includes 35 per cent affordable housing with vehicular and pedestrian access via Dropping Holms, the provision of public open space, associated infrastructure and landscaping. All matters are reserved except for access at this stage. The application is yet to be considered by Horsham District Council. The district council said the target date for a decision is February 15. The residents, of Campaign to Protect Rural Henfield (CPRH), say the development would leave Henfield ‘vulnerable to speculative development’. CPRH chairman Phil Johnson said: “Another picturesque Sussex landscape is under threat from opportunistic housing development. “An application to build 42 properties in a green field on the western flank of Henfield, overlooking the South Downs and adjacent to the village’s historic Nep Town area, has provoked a furious response from local residents. “The site, which was not identified for development in Horsham district’s strategic housing plan, was also considered unsuitable in Henfield’s Neighbourhood Plan. 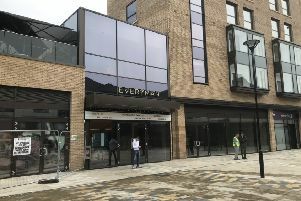 “However, the Neighbourhood Plan, which took three years to develop and won 94.3 per cent support in a community referendum, was over-turned when a developer appealed to the High Court on a technicality. Mr Johnson said Fairfax argue that the green field is a ‘windfall site’, which Horsham is obliged to accept for development, but he said CPRH strongly dispute this. He added: “The hillside location lies outside the built-up area boundary of the village, an invisible but crucial line that separates developed, urban settlement from countryside that needs to be protected. “Its rural setting connects via the downs link to the South Downs National Park and it already has a long history of planning rejections. “A planning inspector once declared it would be an incongruous and prominent extension of the built-up area into the countryside – locals say that situation has not changed. Mr Johnson said residents believe the development would ‘create an unnatural new boundary to the built-up area which would then encourage other developers to claim they should build even more houses next to it’. He added that a glance at the map shows ‘how easily the south-west of Henfield could be swallowed up by housing’. Mr Johnson said residents ‘fully recognise the national need for more housing’ and ‘support the local planning process to deliver it sensitively’, but said some developers ‘do not recognise the vital importance of our countryside to our way of life and our wellbeing’. CPRH is urgently asking supporters of their campaign to write or email their objections to Horsham District Council before December 12. Fairfax Acquisitions Limited has been approached for a comment. To find out more, visit www.henfieldhub.com/campaign-to-protect-rural-henfield.